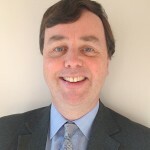 John Westwell is NCETM Director for Strategy where he leads the Maths Hubs Programme, having joined the NCETM in November 2012 as Director for Secondary. In recent years, he has been working at a national level for the GTC, TDA and most recently the Teaching Agency. This has included work on the Teacher Learning Academy, national CPD strategy and improving ITT quality. Before this he worked as a mathematics consultant and advisory teacher for Barking and Dagenham and Blackburn with Darwen local authorities. Previous to this, he was a Head of Maths and SCITT tutor in Chelmsford in Essex, having started his teaching career at Belper School in Derbyshire.